For the many years where the only allergen I needed to avoid was dairy, Asian restaurants of most types were a saving grace. With the exception of Indian cuisine, which uses cream and butter, most cuisines of the Asian continent use little to no dairy. Now that there are more allergens in my arsenal, it’s not quite as simple. But what is reasonably simple is learning to adapt recipes at home. I like that stir fry is an excellent way to incorporate a lot of vegetables into one dish, with meat as a flavoring rather than the focus — and you can make a vegan version by either substituting tofu or seitan for the meat. This marinade should work well for either, but I have not tried it since I can’t eat either anymore. 1 cup thinly sliced onions. Get rice cooking. I can’t give you a recipe or time — read your package or your rice cooker directions. I am generally hopeless at cooking rice. My Chinese ancestors would be less than best pleased. This makes a lot of stir fry. 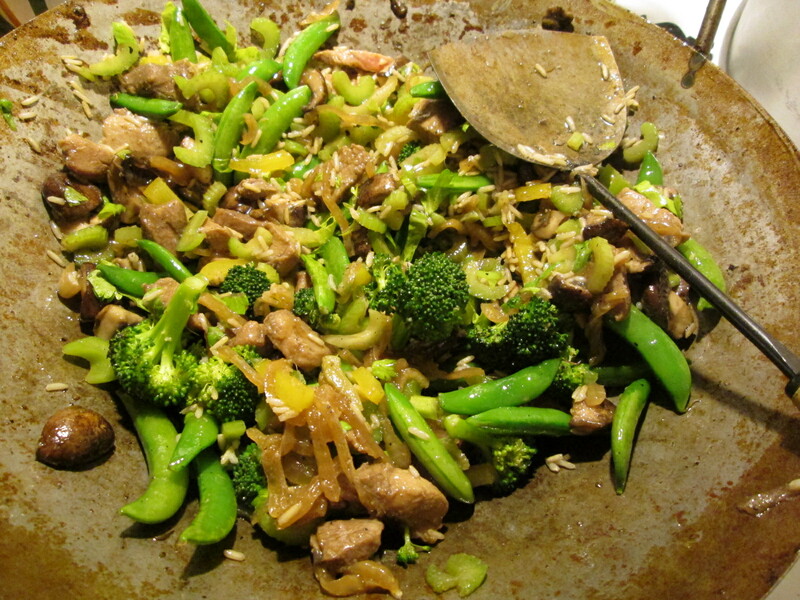 I tend to stir fry the ingredients in rounds, each ingredient separately — meat first, and then through the veggies. Strain the marinade out — you want to fry the meat, not boil it — and discard. Stir fry until cooked through, and then remove from pan. Cook the peppers. Remove. 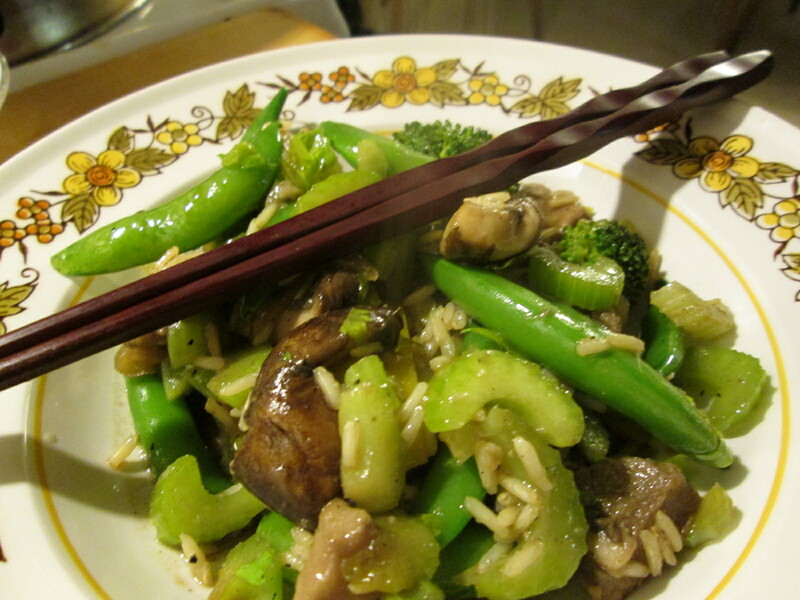 I stir fry in canola oil, and use it sparingly adding a tiny bit with each ingredient. When all your food is cooked, dump it all back in the wok, turn the burner off, and give it a few minutes to meld. Serve over rice. Or, you know, dump some rice in to flavor meld, too.